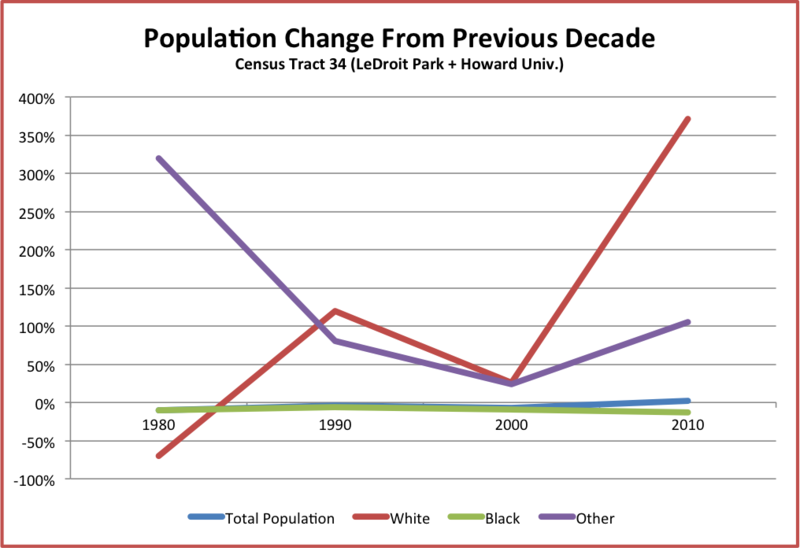 The broad findings show that displacement has been happening not just since the historic district designation in 1974, but actually began in the late 1960s when single-family homes that had been converted into multi-family units were beginning to be returned to single-family use (or mostly single family with a basement unit) a result of desegregation and population shift in the city as a whole. 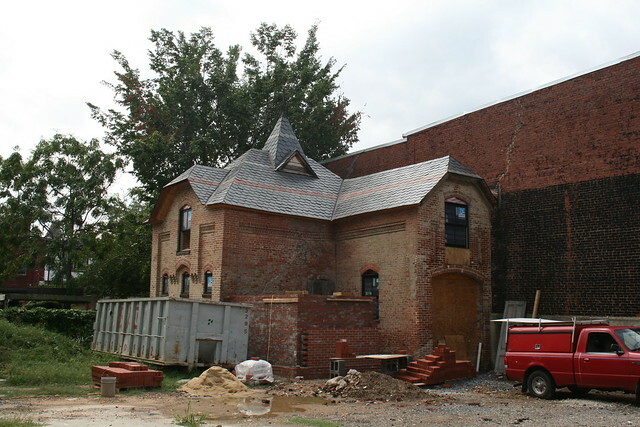 The dissertation is also a wonderful study of LeDroit Park’s history. 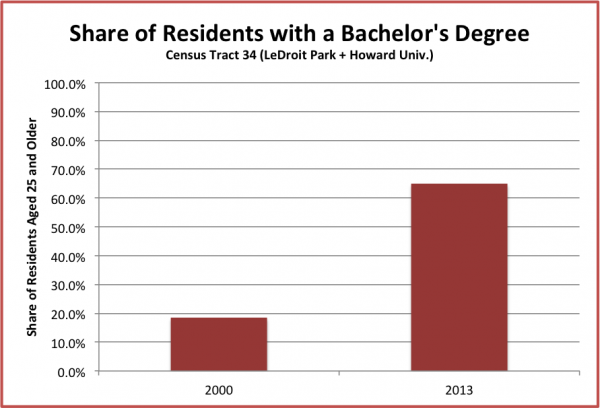 Since 2000 the census tract that includes LeDroit Park has grown more educated, more expensive, and wealthier. 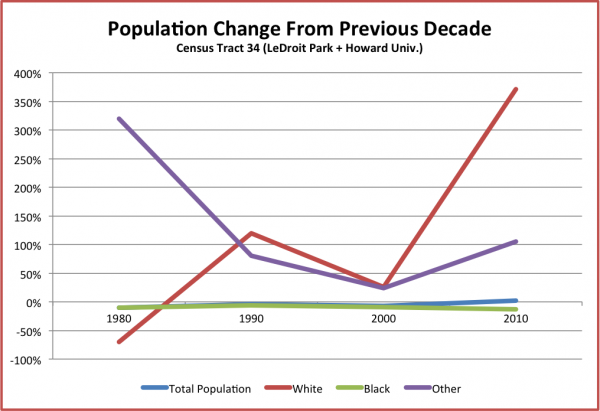 Meanwhile the tract’s total population held steady after decades of slow decline. While the white population has increased, the census tract is still overwhelmingly black. 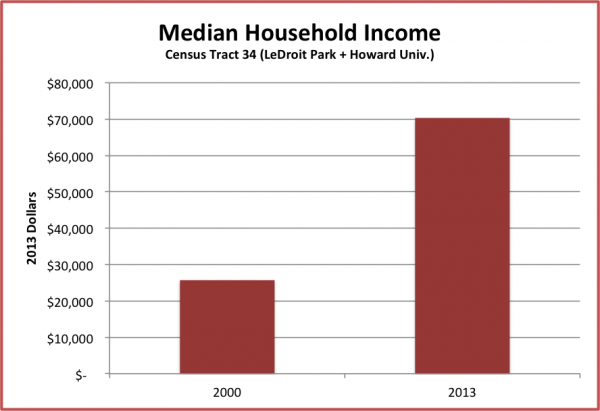 Governing Magazine recently ran a story on gentrification in DC and labeled Census Tract 34, which contains LeDroit Park and Howard University, as “gentrified“. 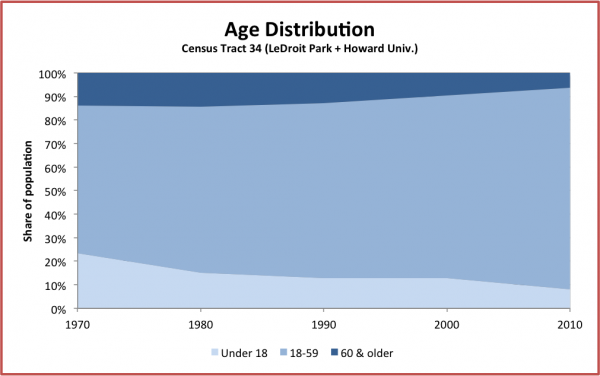 LeDroit Park has certainly changed over the years and I finally got around to compiling decennial census data from 1970 to 2010 as well as data from the American Community Survey. Let’s start off with the biggest changes. Data from Governing show that the share of adults age 25 and older who earned a bachelor’s degree more than doubled from 18.5% in 2000 to 64.9% in 2013. In fact the neighborhood catapulted over the regional figure (48%) and the national figure (28.8%). Governing’s data of the median home value (both single-family homes and condos) show that housing prices nearly doubled from 2000 to 2013. The population of LeDroit Park and Howard’s campus held steady since 2000 after decades of modest decline. 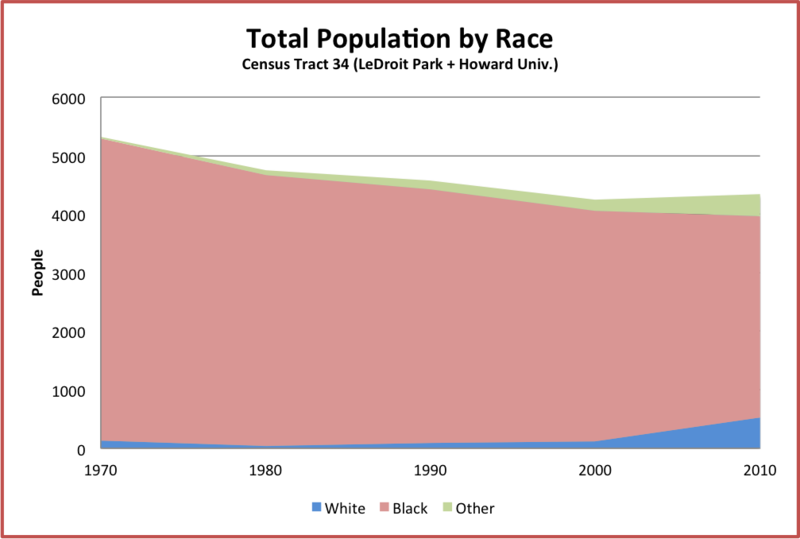 Though the number of whites more than tripled and number of blacks fell 13% from 2000 to 2010, our census tract is still 79% black. A few years ago I got a limited data set of the 2010 Census from the Office of Planning and was able to separate LeDroit Park figures from the rest of the census tract that lies north of W Street. Even then I found that the neighborhood was 70% black. One popular gentrification narrative is that the process turns poorer black neighborhoods into wealthy white neighborhoods. 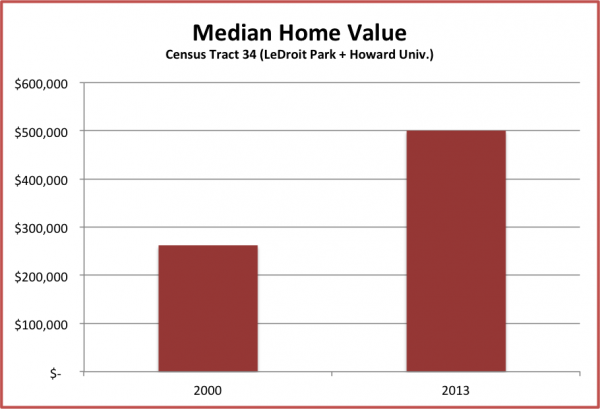 While income and home values in LeDroit have soared, it still remains a predominantly black neighborhood. From 1970 to 2010, the population of residents under 18 tumbled from 23% of the population (1,244 children) to 8% of the population (350 children). For comparison, DC’s under-18 population in 2010 stood at 17%. This was one of the more surprising facts. 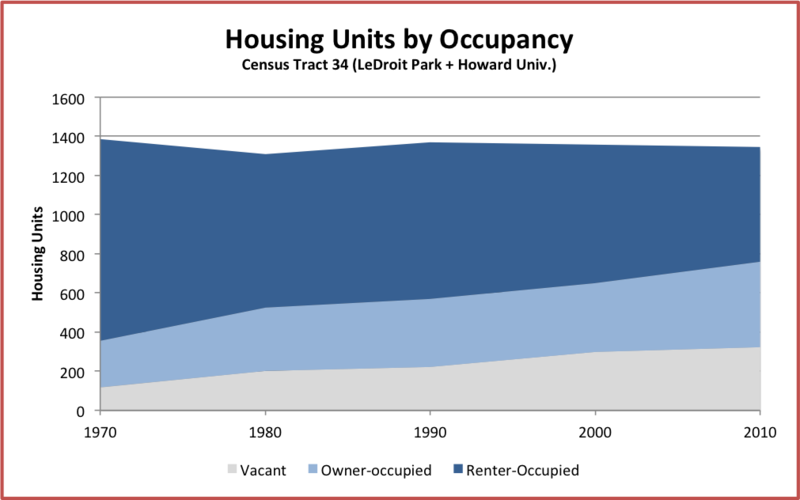 Despite construction of numerous infill rowhouses (especially on the 300 and 500 blocks of U Street) and despite the conversion of many one-unit rowhouses into two-unit rowhouses, the total number of housing units is slightly lower than in 1970. Also, vacancy has been rising, which contradicts what I have seen since I moved here in 2009. Perhaps the vacancy numbers were driven by the remodeling of the 161 units at Kelly Miller or perhaps Howard University dorm rooms do not count as “occupied” since many are vacant during the summer. 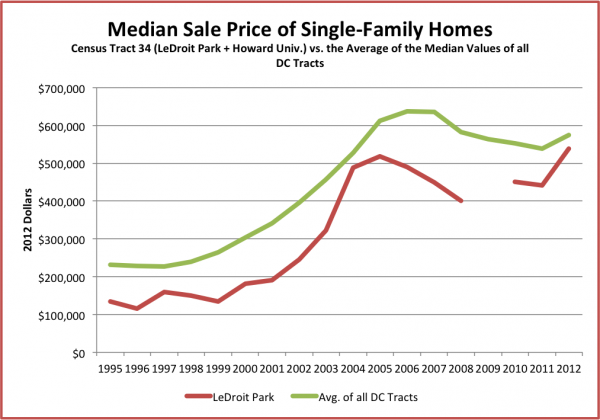 According to Governing’s analysis, our tract, like half of the other DC tracts that met the first condition above in 2000, satisfied the second condition in 2010 and thus gentrified. Longitudinal Census Bureau data (1970 – 2010) came from the US 2010 project, which used a peer-reviewed method adjust older tract data to conform to the latest tract boundaries. Governing, which used Census Bureau data. American Community Survey, a Census Bureau project that collects detailed demographic data for years between and overlapping each decennial census. 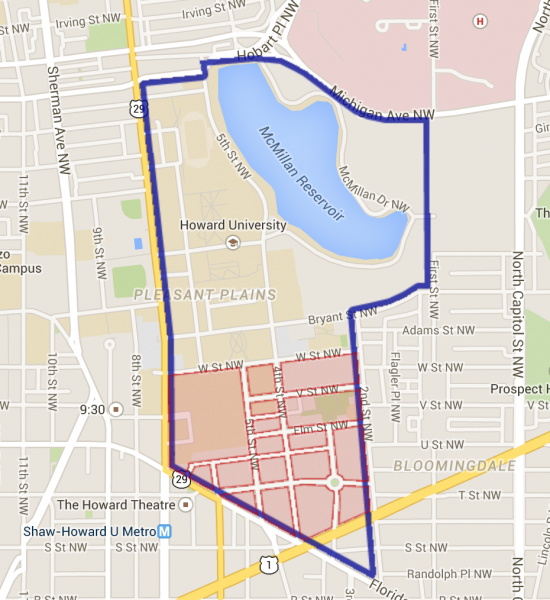 Our census tract (outlined in blue) is larger than the neighborhood and includes much of the Howard University campus.